Soulcalibur 6 Siegfried Revealed | Nerd Much? As we slowly crawl closer towards the unknown release date of Soulcalibur 6, we’re greeted with more and more familiar faces. Today, Siegfried gets is confirmation to return. The character wields his massive Zweihander sword deftly in today’s trailer. He’s pitted against Nightmare in much of it. Bandai Namco says that Siegfried “has but one reason to fight…to fully free himself from the cursed sword’s grasp! 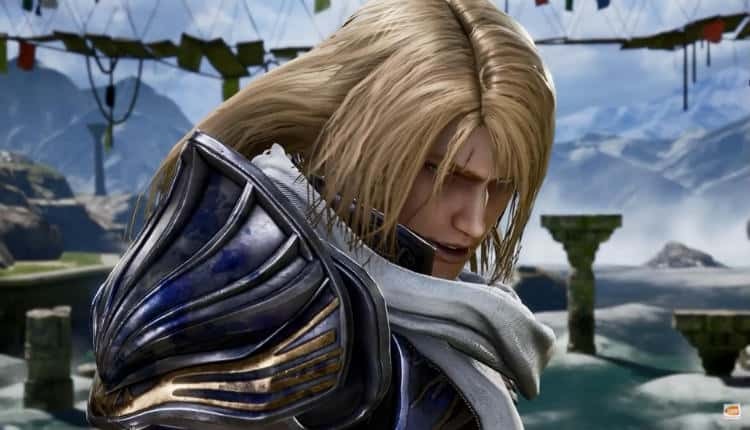 Siegfried is the tenth character to be confirmed from Soulcalibur 6. Grøh, Ivy, Kilik, Mitsurugi, Nightmare, Sophitia, Xianghua and Zasalamel have all been announced to return as well. Geralt of Rivia from The Witcher series is the guest character in the game. There are sure to be plenty more characters lined up to appear in the game. Soulcalibur 5 had 25 playable characters in total, so we have a long way to go to match that. Bandai Namco have confirmed that the game is coming to PC, PlayStation 4 and Xbox One this year. We just don’t know exactly when yet. We haven’t seen a Soulcalibur title yet on the current generation of consoles. And this outing will be the first Soulcalibur to release on PC. The last mainline iteration of the series was Soulcalibur 5 on the Xbox 360 and PlayStation 3. The franchise is typically regarded as one of the best in the fighting genre. Hopefully Soulcalibur 6 turns out to be well worth the wait.